A 39-year-old man was convicted last Wednesday at Craigavon Magistrates Court on two charges of obstructing two police officers. He was Stephen Paul Breen, whose address was given to the court as Drumbeg, Craigavon. 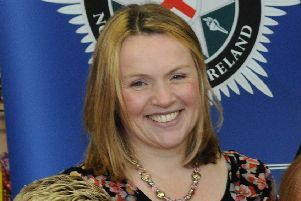 The charges arose after police broke up a parade in Levin Road, Lurgan, on March 31 last year. Breen was charged with two counts of obstructing a police officer. The case was listed last Wednesday as a contest at Craigavon Magistrates Court. A barrister representing the defendant said there was no objection to the prosecution evidence. The offences involved pushing at officers and trying to impede them. District Judge, Mrs Bernie Kelly, convicted Breen on the basis of the evidence, having got it confirmed that he was not planning to give evidence. Judge Kelly imposed a conditional discharge for 12 months on both charges.